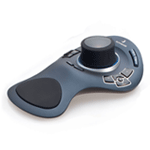 3Dconnexion, a Logitech Company, designs, manufactures and markets an award winning line of advanced motion controllers. Designed to work together with the traditional mouse, the controllers deliver a unique and powerful two-handed work style to the professional software market. 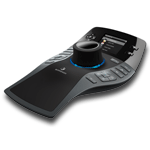 Users can pan, zoom and rotate with a controller in one hand while they simultaneously create, edit or annotate with a traditional mouse. By enabling this more effective interaction with software applications, 3Dconnexion products improve productivity and reduce work-related fatigue. In addition to support for over 100 of the most popular CAD and DCC apps, all of our products will now support Google Earth and Google SketchUp. SpaceMouse Pro is the latest addition to 3Dconexion;s line of professional 3D mice. It features a full size, soft coated hand rest and 15 large, fully programmable function keys for access to application commands, standard views and keyboard modifiers while a convenient On-screen Display provides visual support. 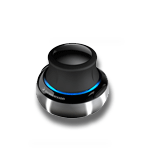 SpacePilot™ PRO is the ultimate professional 3D mouse, engineered to excel in today’s most demanding 3D software environments. Its breakthrough features include second generation QuickView Navigation technology, dual-function Intelligent Function Keys and at-a-glance access to important information via the full-color LCD Workflow Assistant. SpaceExplorer is the 3D mouse of choice for design professionals who demand performance, comfort and style. QuickView Navigation technology extends the power of the patented 3Dconnexion 6-degrees-of-freedom (6DoF) sensor to deliver an advanced 3D navigation experience, while two Intelligent Function Keys detect the active application, providing fingertip access to relevant application commands. 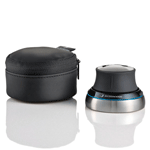 SpaceNavigator is the 3D mouse that lets everyone explore the freedom of intuitive, precise 3D navigation in over 100 3D applications. Simply push, pull, twist or tilt the 3Dconnexion Cap to simultaneously pan, zoom and rotate. It’s like holding the 3D model or camera in your hand. Visit 3Dconnexion at www.3dconnexion.com for more information. Call your Synergis Account Manager at 800-836-5440 to find out how you can increase your productivity by up to 30% with 3Dconnexion motion controllers.